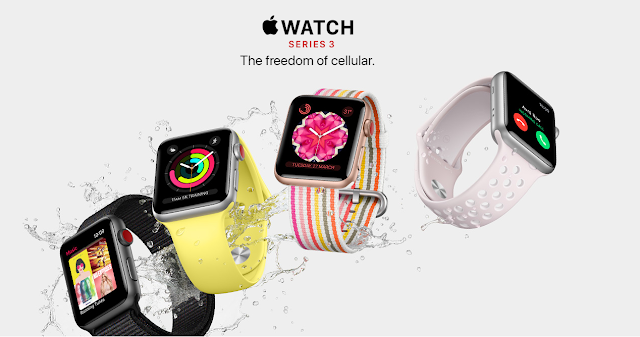 Bharti Airtel (“Airtel”), India’s largest telecommunications service provider, today announced that it has begun selling Apple Watch Series 3 (GPS + Cellular), which adds built-in cellular to the world’s number one watch. With cellular, customers can go with just their Apple Watch and stay connected to the people and information they care about. Airtel customers on MyPlan Postpaid or Infinity Postpaid plans will be able to enjoy cellular services on Apple Watch Series 3 (GPS + Cellular) for free. With Airtel’s pan-India high speed mobile broadband footprint, customers can always stay connected and access cellular services like voice calls, SMS, and apps on their Apple Watch Series 3 (GPS + Cellular) without worrying about carrying their smartphones with them at all times.